Hey everyone! 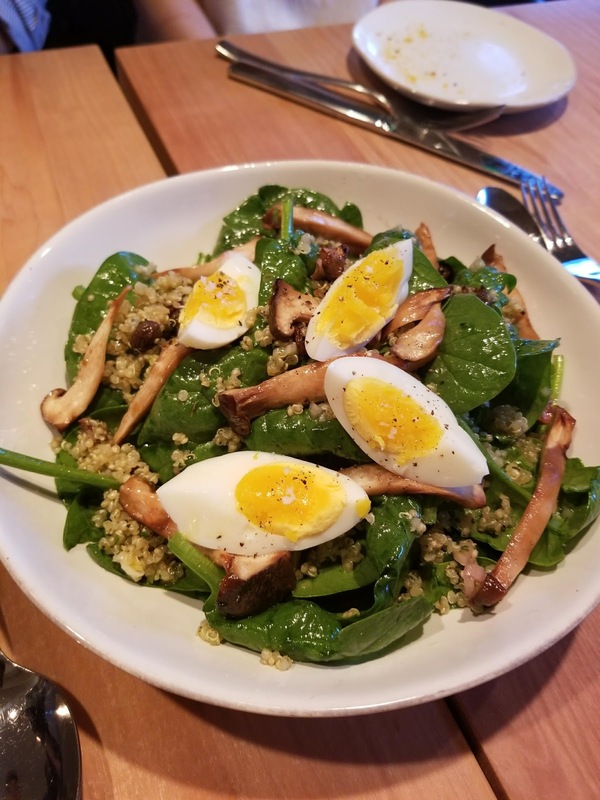 It's been awhile since my last foodie post and I thought it was time to change that with today's post all about food! 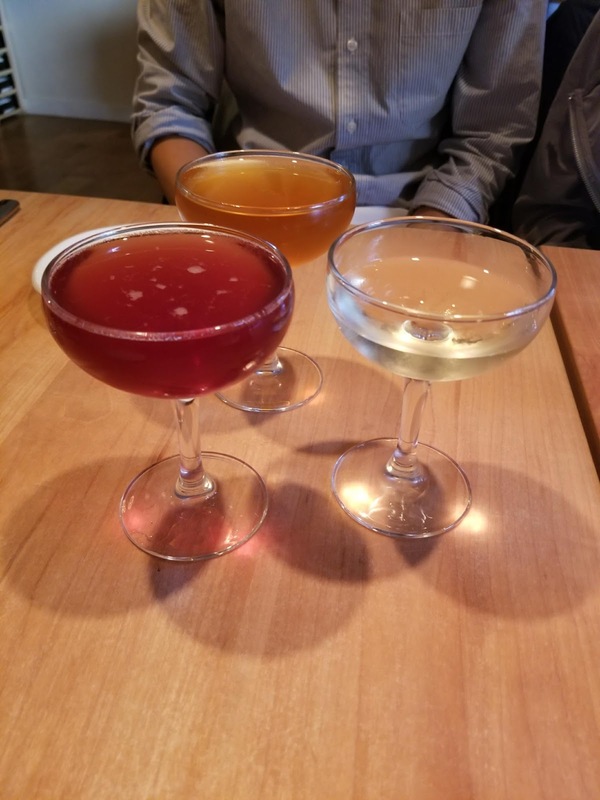 Today, I'll be doing a quick recap on the restaurants I went to for Seattle Restaurant Week that ended just about two week ago. 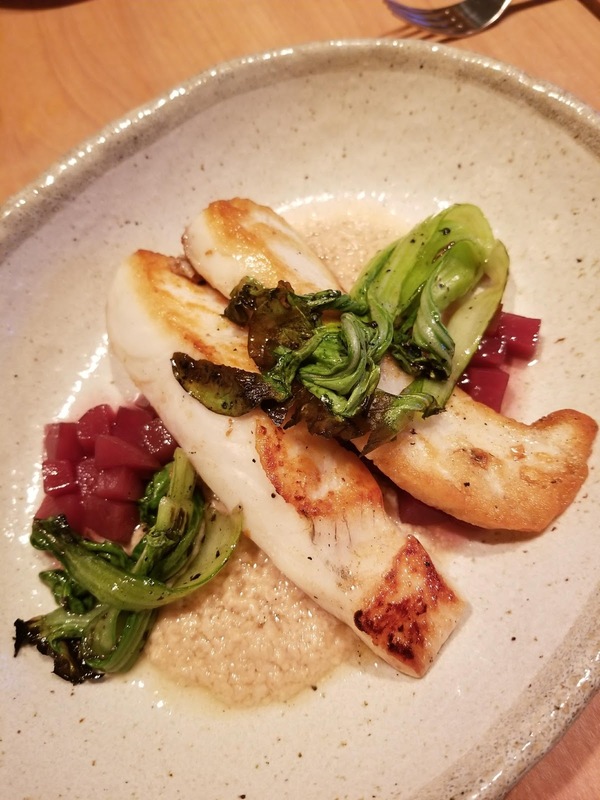 This is one of my favorite food moments in the city as a handful of restaurants have deals on food (usually $18 at lunch for two items, $33 for three items for dinner). This time around I had a chance to go to six different ones - three that I've been to before and three hat were new to me. I'll start with the ones I've been to before. 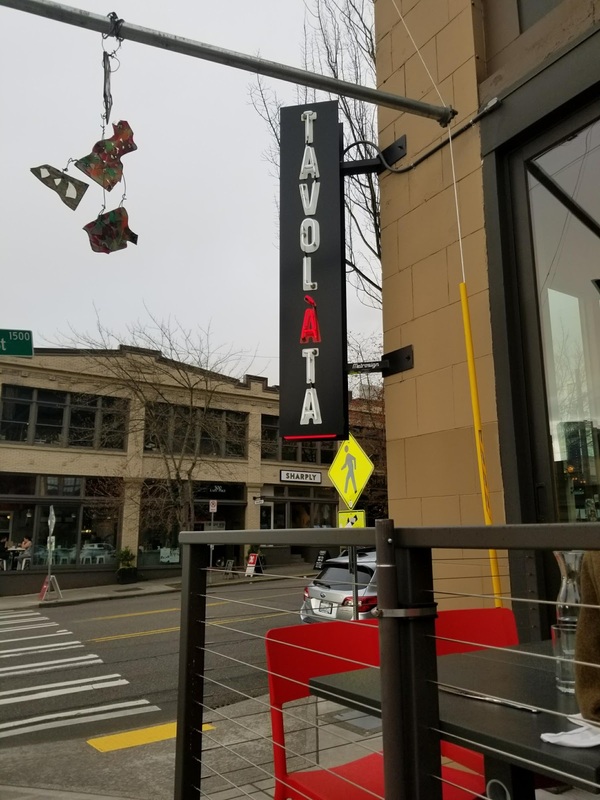 Tavolàta is a Ethan Stowell restaurant that I've been to before but only there Belltown location. One of the reasons that I wanted to come back here for SRW is because of the selection that's available. 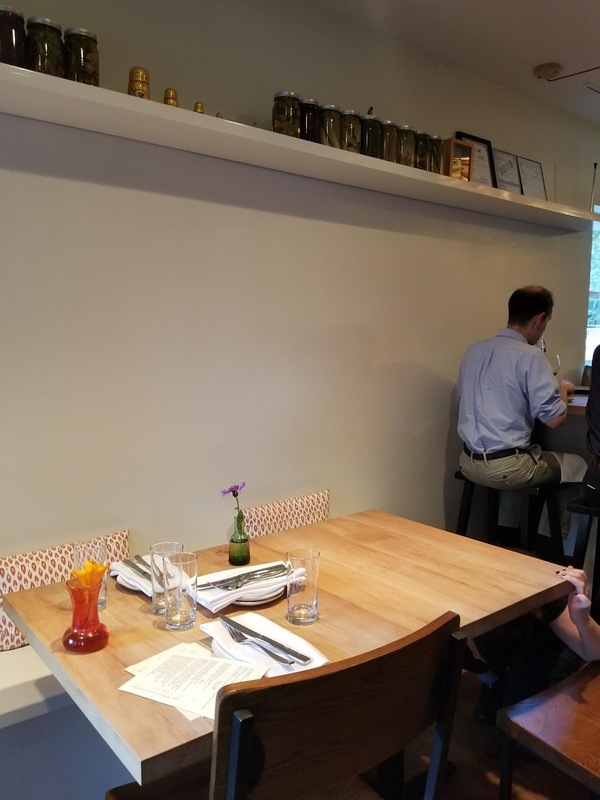 It's also pretty much almost all the same across his other restaurants, minus a few items here and there. 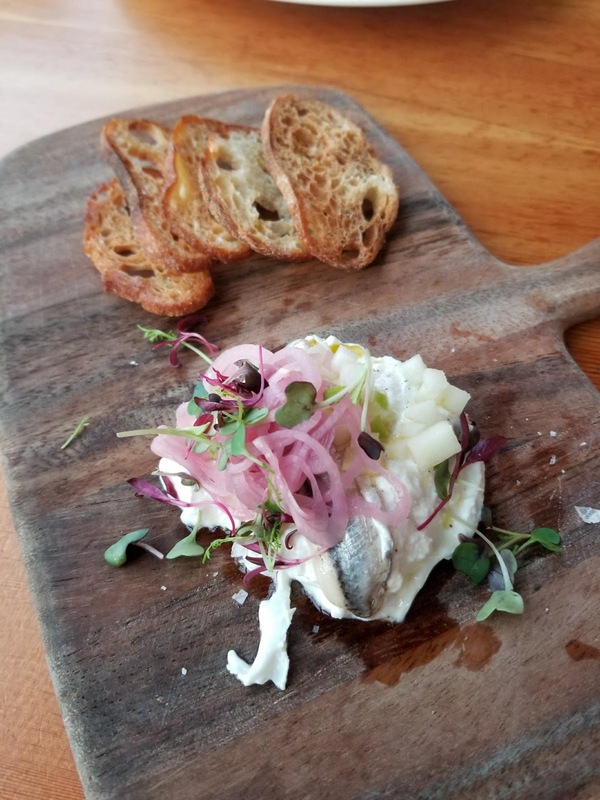 We started off with appetizers and I ordered the burrata which is one of my favorites! Theirs was nice and runny and the pickled saury (I think) and onion added a nice touch of flavor. 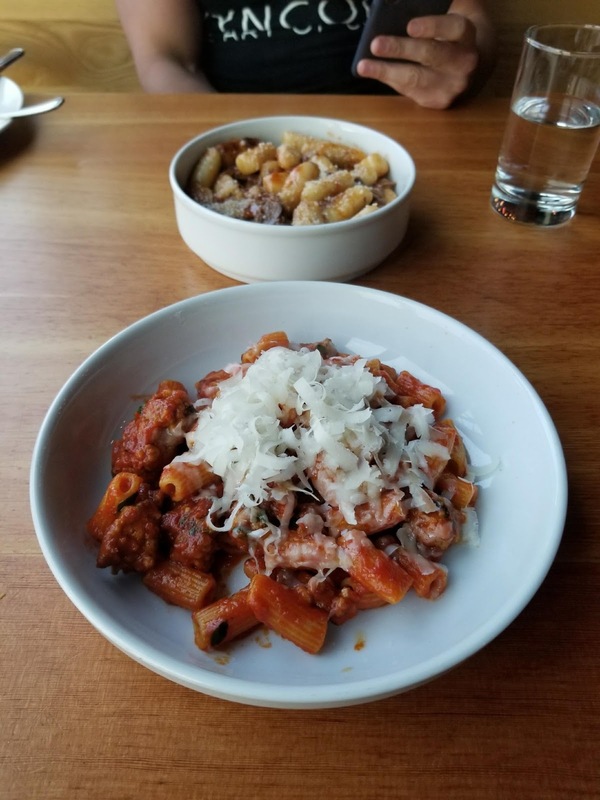 Next up came the pastas - I ordered rigatoni while my friend Sean ordered the lamb gnocchi. 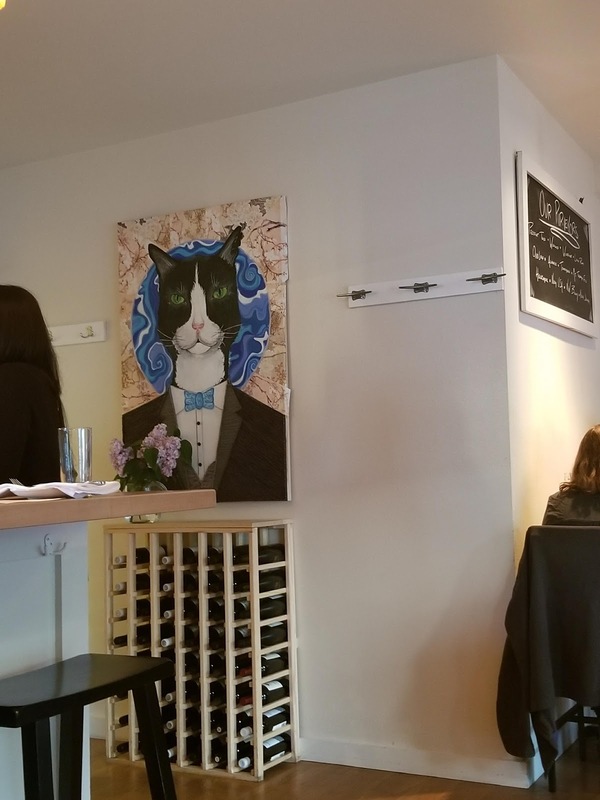 I should've ordered what he got because it was amazing. Mines was decent, but not my favorite and honestly, a bit salty. 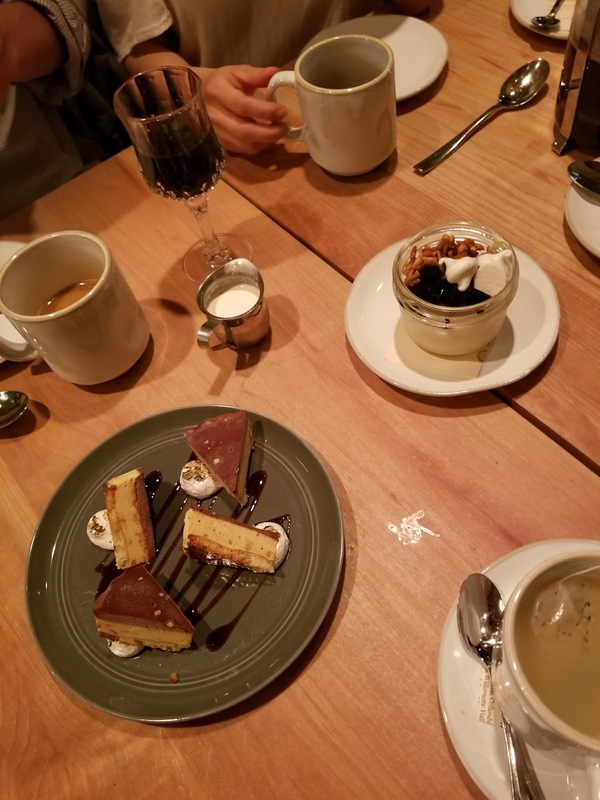 Dessert was great. 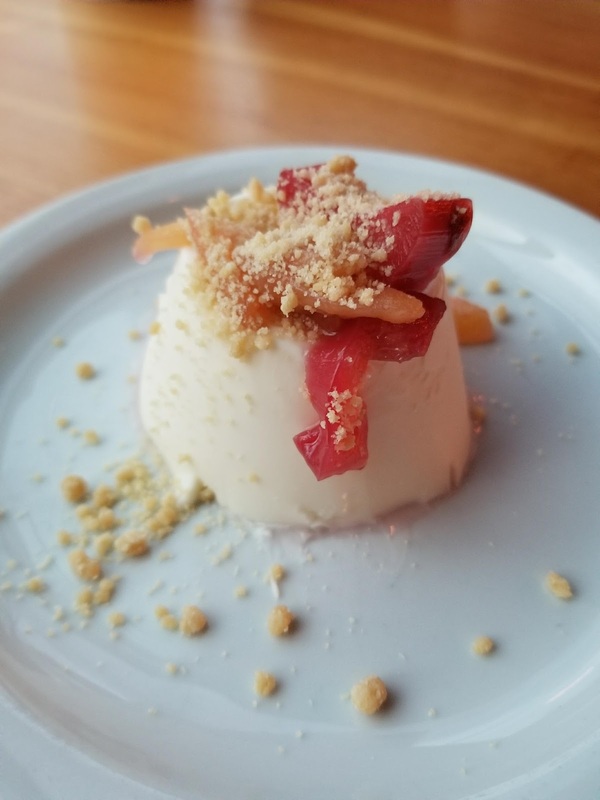 I ordered the panna cotta which had a nice flavor and texture, not to sweet, and the candied ginger paired nicely with it. 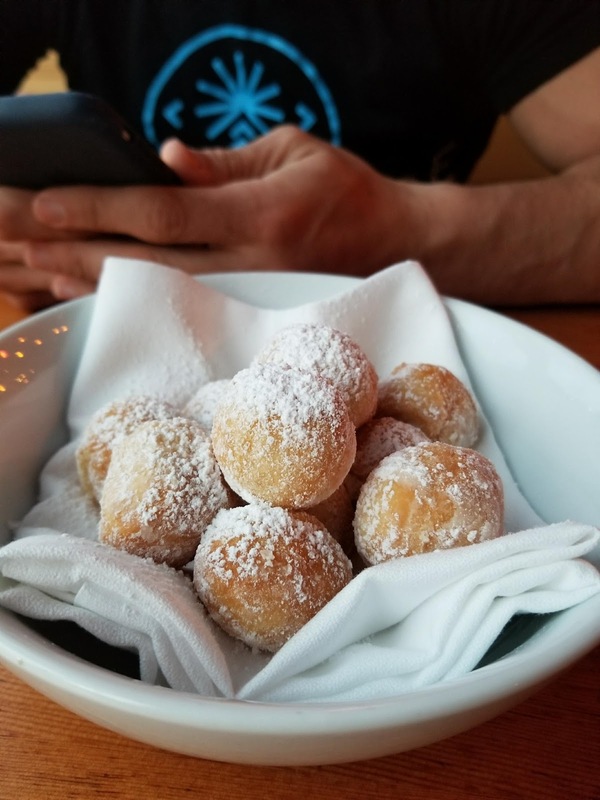 My friend had the zeppole, little donut holes - a classic. 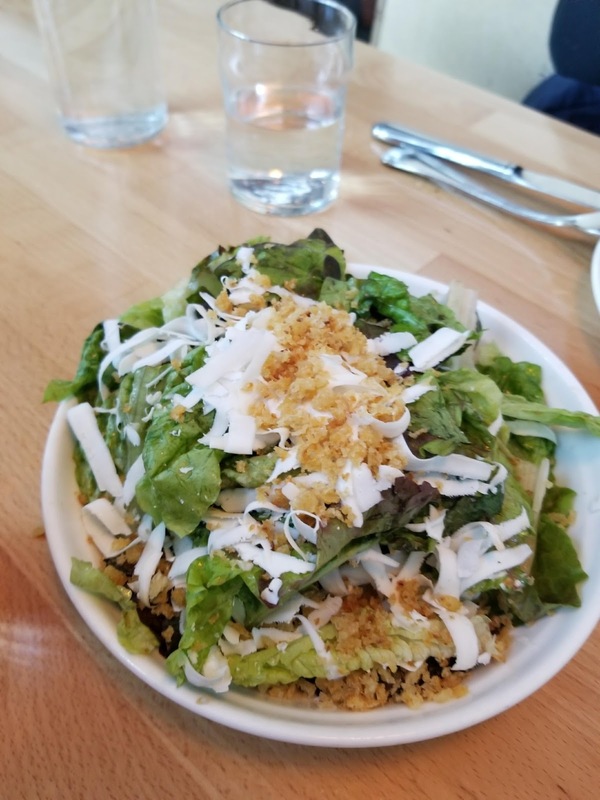 Overall, I do enjoy Ethan Stowell restaurants and Tavolata is probably one I lean more towards out of all the others (Red Cow is another favorite). I would come back again but likely only during SRW to get the best deal. 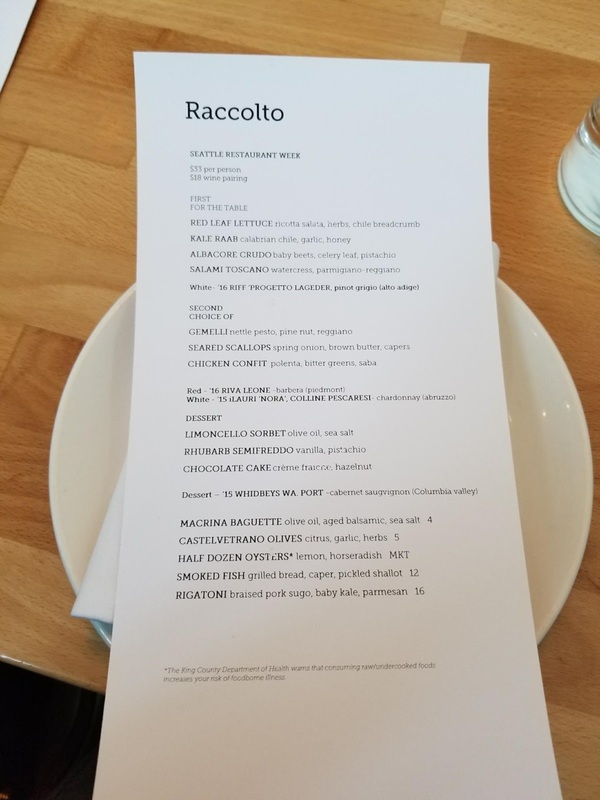 Raccolto is another restaurant I wanted to come back to - mainly because their menu items changed for this round and it was close to one of my friend's place. 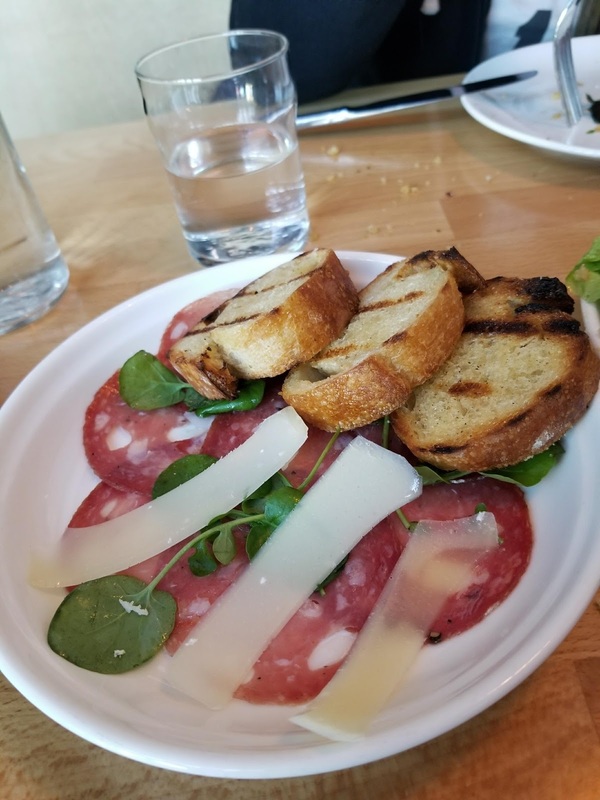 What I like about their SRW menu is that they offer the starters for the table, so you don't have to make choice for appetizers! 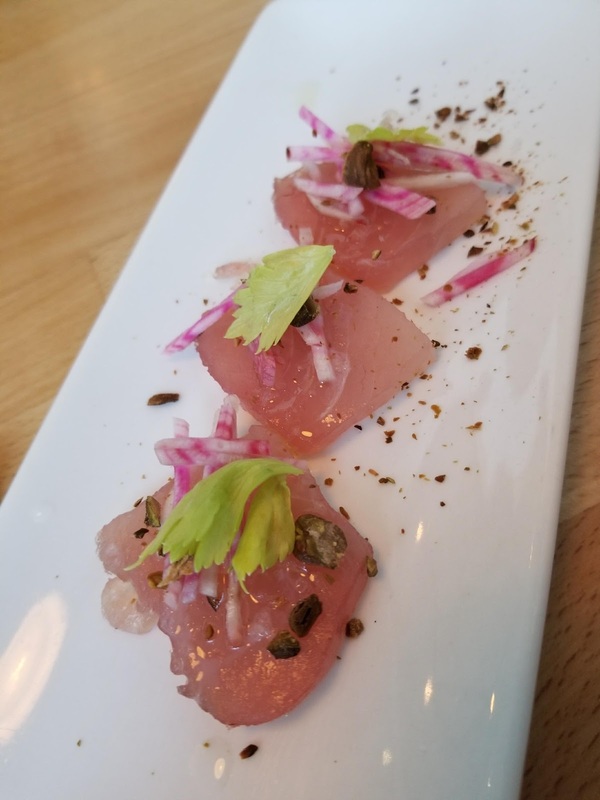 I really enjoyed their hamachi crudo and the kale raab (for some reason, I don't have a photo of it!). For entrees, since there was three of us, we tried one of each of the items offered. 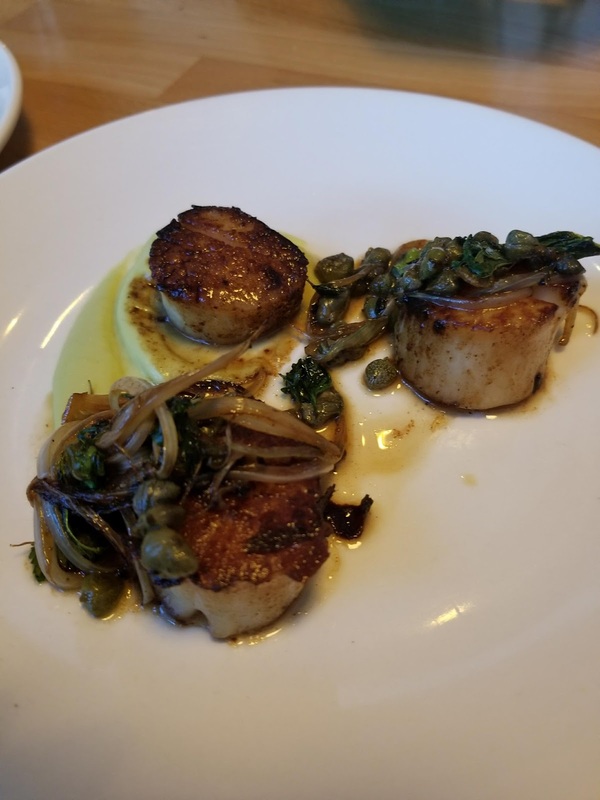 My favorite would have to be the seared sea scallops. The pasta was decent with a pesto sauce (also not pictured, whoops) and the chicken confit wasn't my favorite. I did really enjoy all the desserts though (also not featured), especially their sorbet. I want to try this place out outside of SRW so I would say I would give it another shot as this time around it was a bit underwhelming. It's also by my favorite nail salon (Juniper Natural Nail Bar!) so if I happen to have a late appointment, I'd catch dinner here. The last repeat restaurant was the French restaurant, Luc. 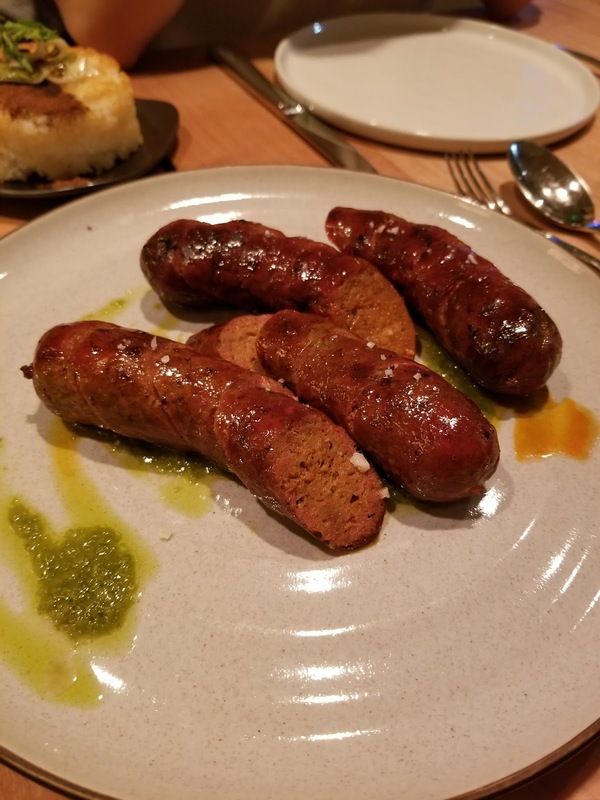 It's been 1.5 years or so since I've been here and I wanted to come back because a) I really enjoyed the food here and b) they had items on the menu I've been interested in trying. 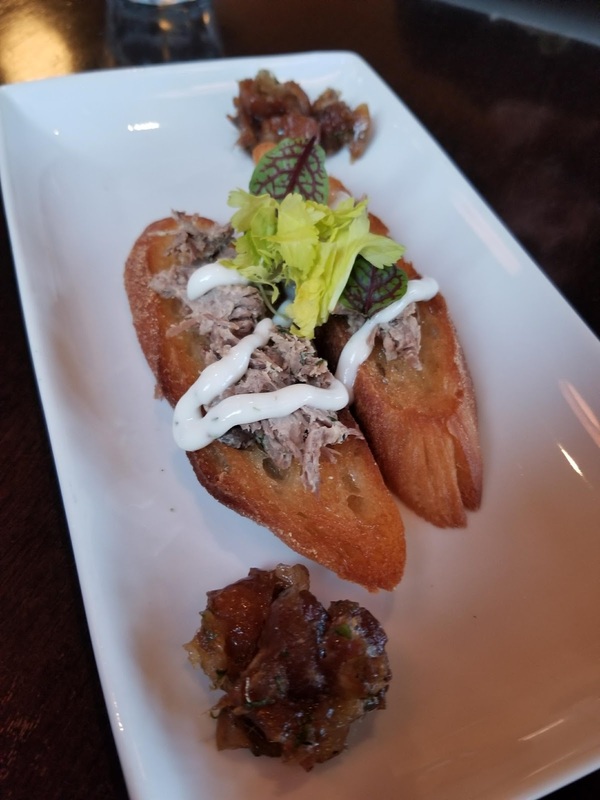 I went again with my foodie friend Sean and we both had the same starter, the smoked lamb rillette with dates. 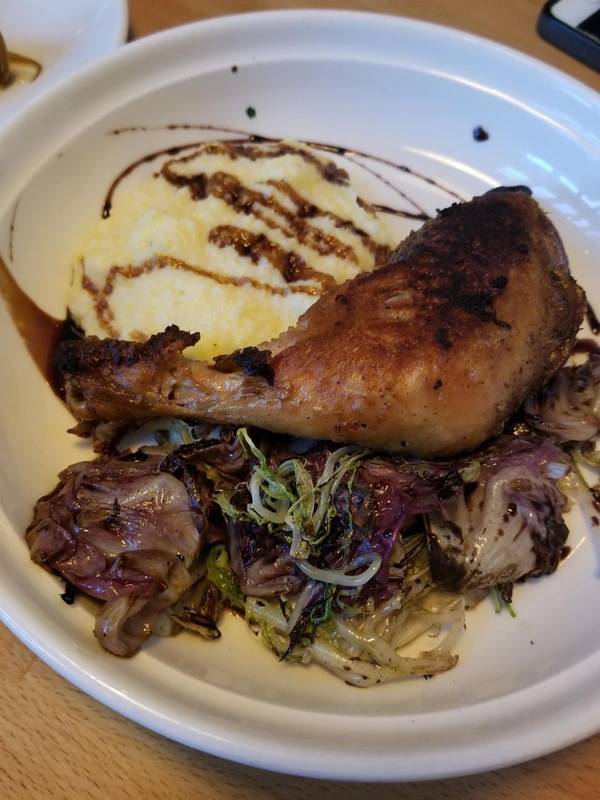 This was absolutely delicious and flavorful! 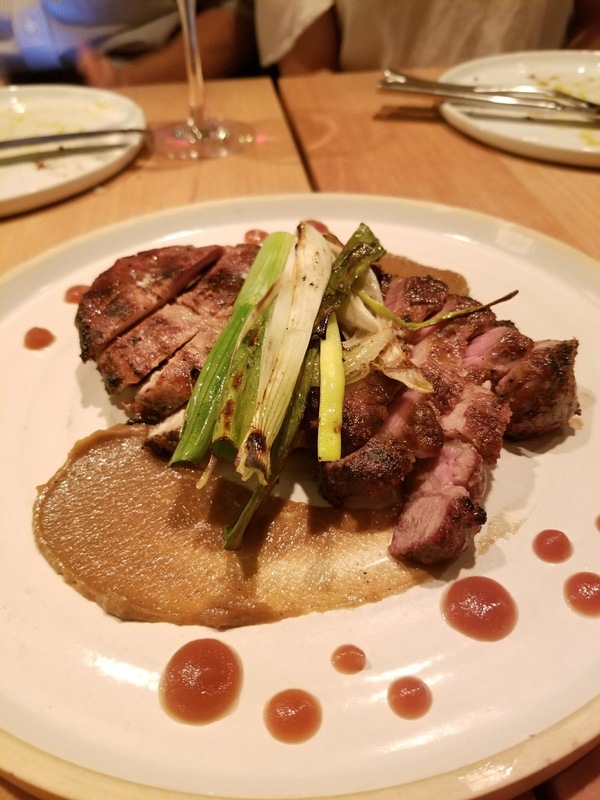 The lamb paired so well with the sweetness of the dates. Then came the main course, I ordered the rabbit while my friend had the halibut. 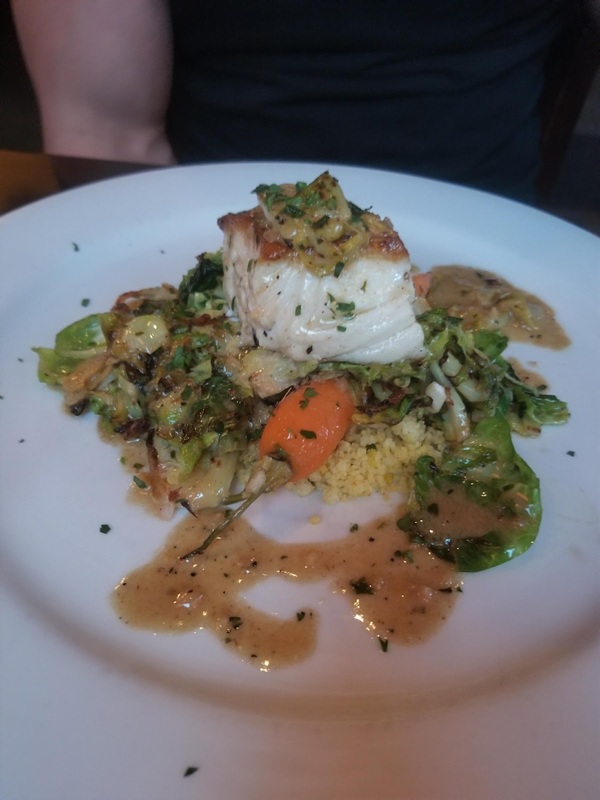 A smaller portion for the halibut, but it was cooked perfectly, was nice and moist and not dry. My rabbit was surprisingly large and tasted better than I thought! 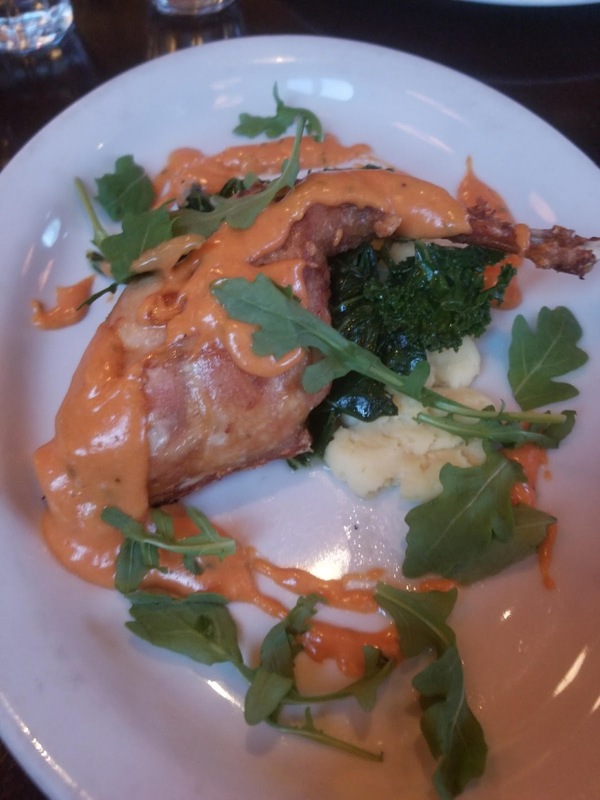 This was the item I was curious to try as I've never had rabbit before and wanted to take the leap (hah) and give it a go. I'm a fan I would have to say. 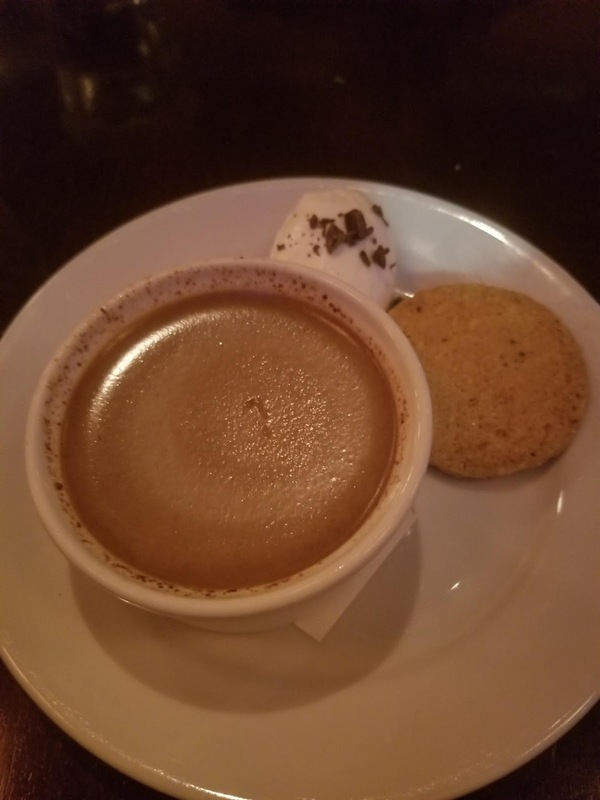 Then came dessert - I had the pot de creme which was rich and decadent but not overly sweet. It was definitely rich in chocolate. I would definitely come back here again for SRW or outside. 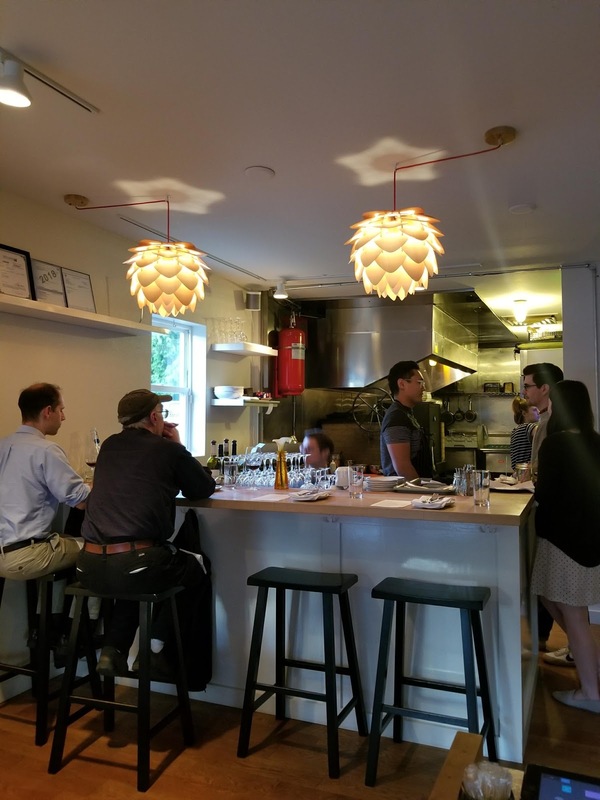 I love the menu offerings and overall ambiance. 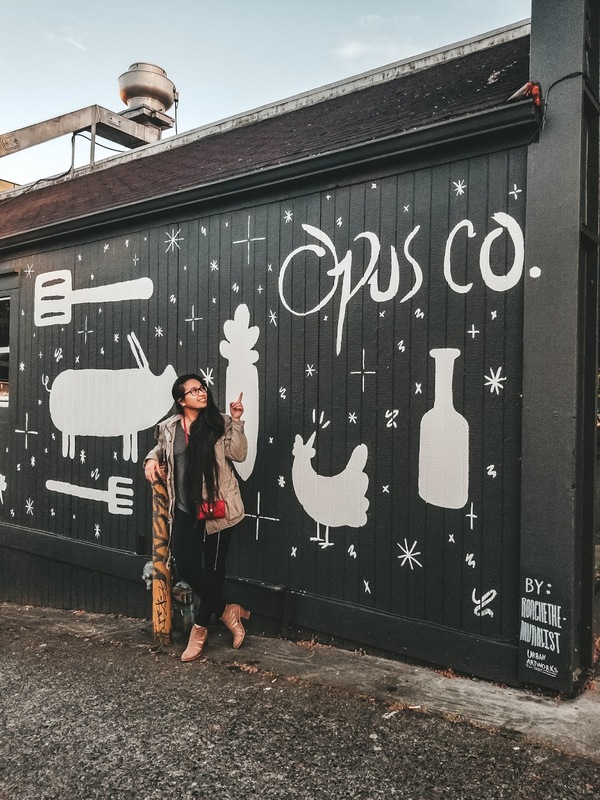 Marjorie is a cute little place in Capitol Hill with lots of personality and character. I went here because they had great vegetarian options and because I have always been curious to try it. My starter was a smoked salmon rillette (do you see a pattern here? 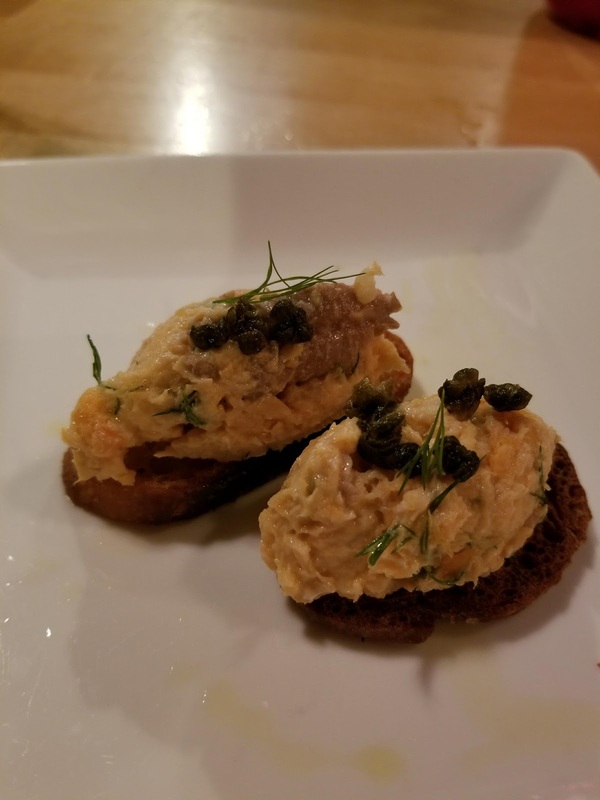 haha) which were loaded with salmon and a great appetizer with the right amount of seasoning and flavor. 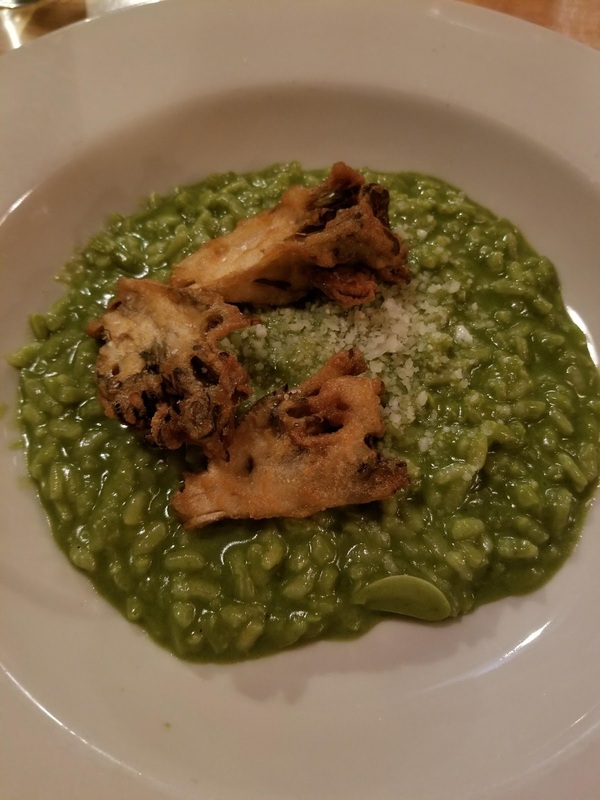 My entree was a nettle risotto which was so good! It was extra cheesy and the battered maitake mushrooms on top paired so well with their nice crunchy texture. 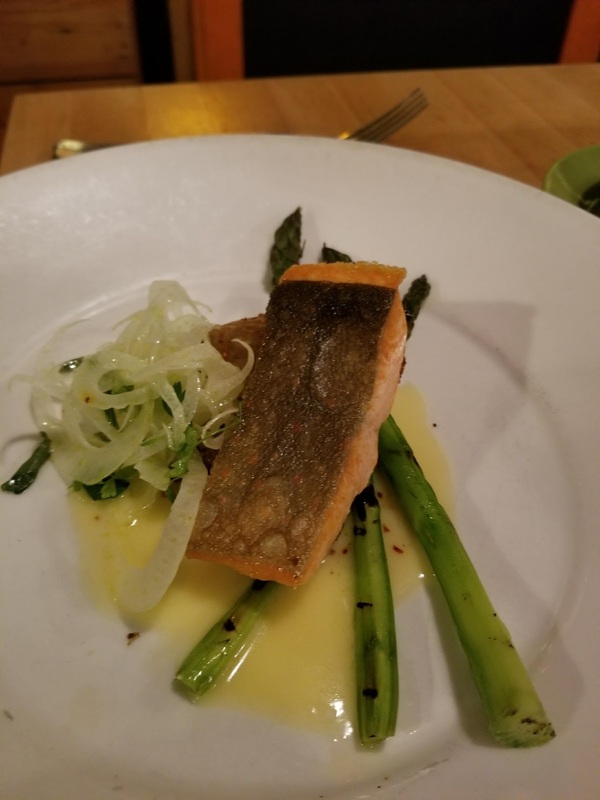 I also had a chance to try a friend's salmon - delicate and cooked just right and well seasoned. 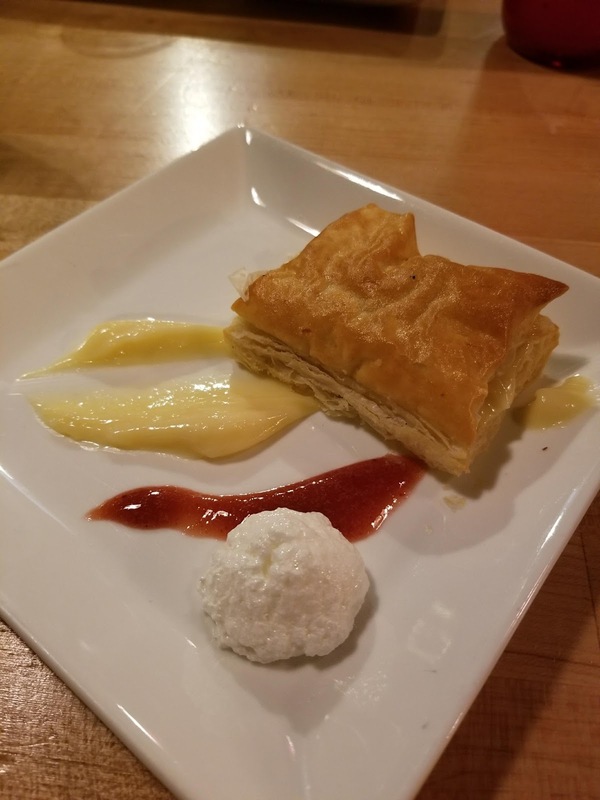 For dessert, I had their neapolitan flaked pastry - it was a bit tart but still good. Not my favorite but wasn't disappointing either. 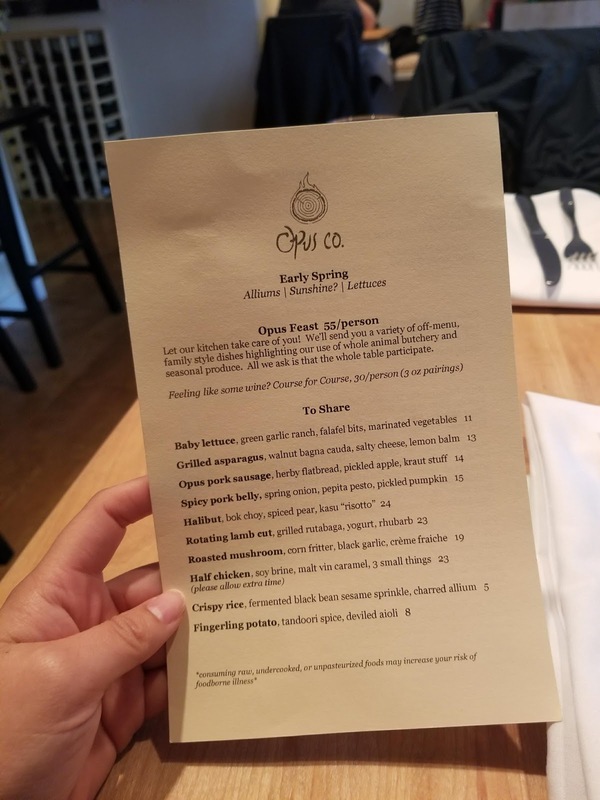 I would totally come back here and this is a place I want to take friends to especially if they need vegetarian options. Parking is a bit frustrating though in this area which is the only downside. 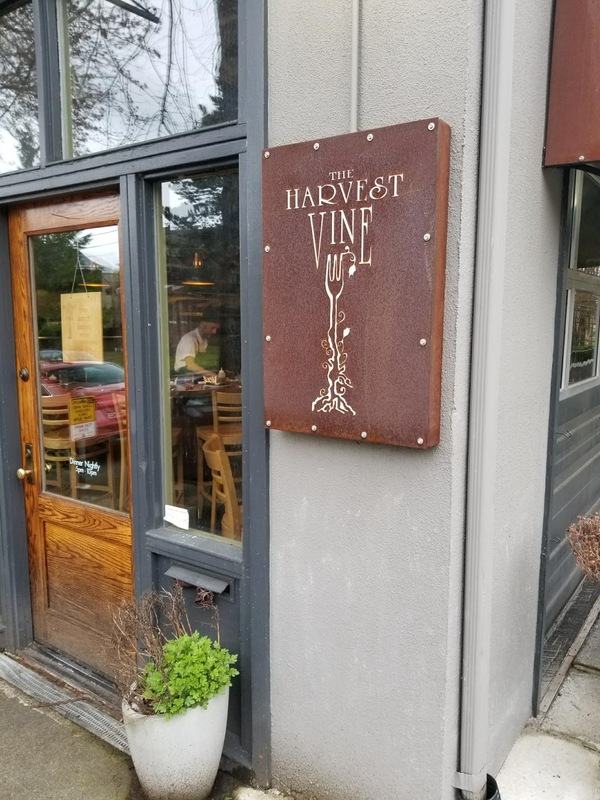 The Harvest Vine has been on my list for years! I try to reserve a spot for SRW every year but they're almost always booked up! This year, I made sure to jump on it as soon as I could and was able to get in. I absolutely love this place and have to honestly say this was my favorite! Everything was delicious from the appetizers, to dinner, to dessert. 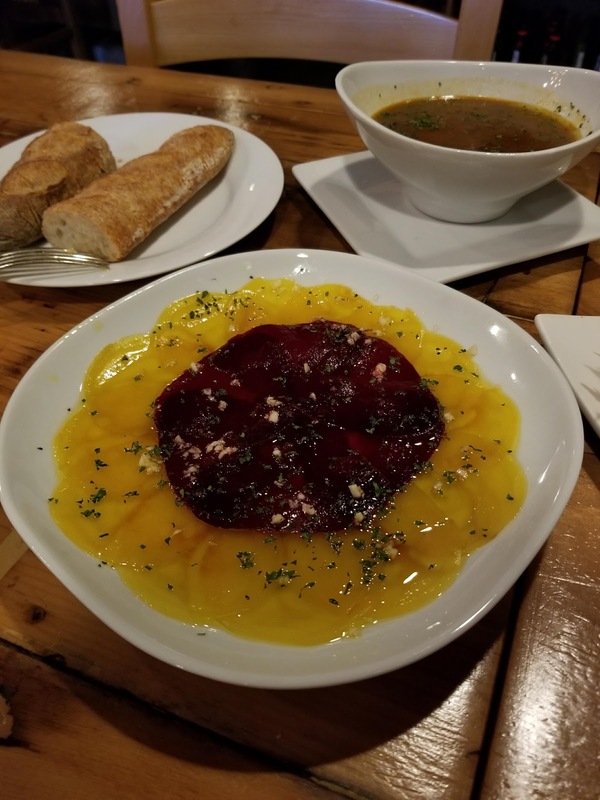 The Spanish tortilla (I think) and beets were favorites for appetizers. 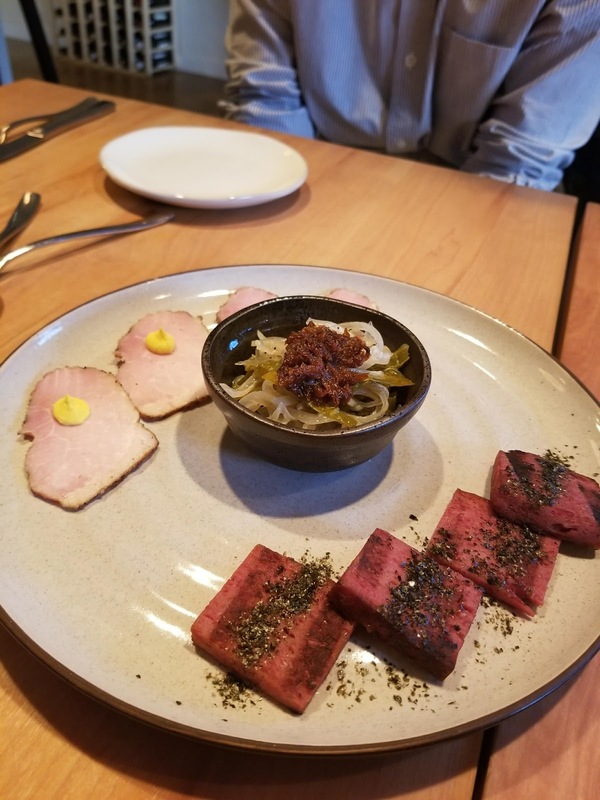 There were three of us so we tried one of each of everything including the entrees which consisted of smoke trout, pork cheeks, and baked eggs. 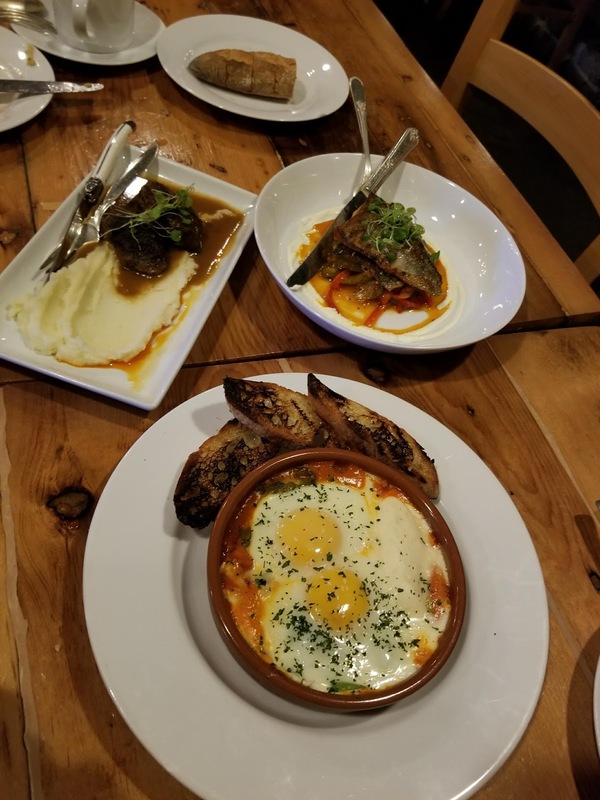 My favorite was the baked eggs - the eggs were cooked perfectly, the tomato sauce was not tangy at all and seasoned well. 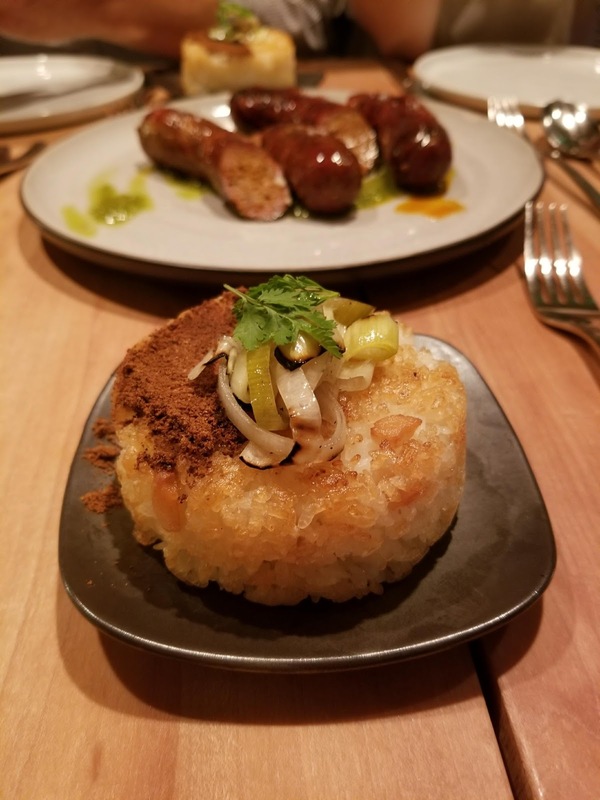 Everything about that dish was perfect. The pork and trout were good too but the eggs were my number 1. Then came dessert where we had flan, a chocolate tart and an olive oil cake. 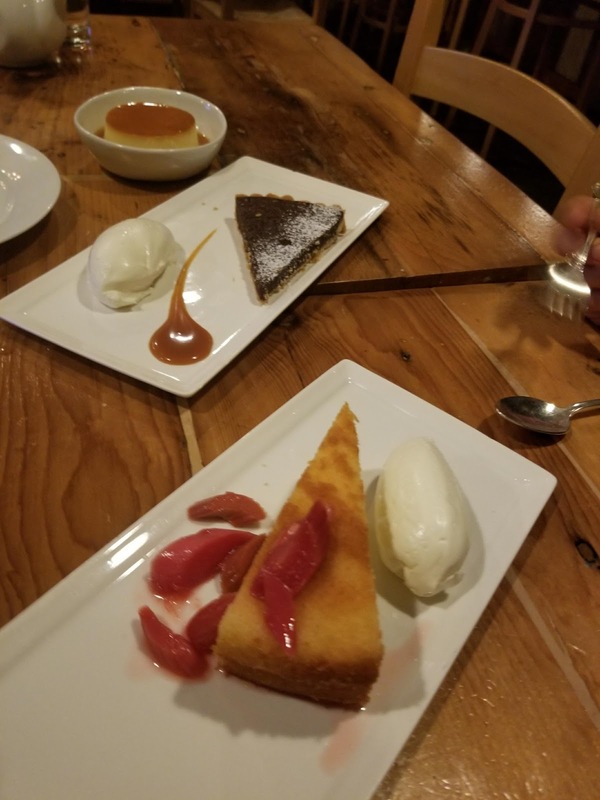 The chocolate tart was a bit rich for me, but the flan was amazing; not too sweet like other flan I've had with a smooth texture. Yes, I would come back. SRW or not, I would go back in a heartbeat. 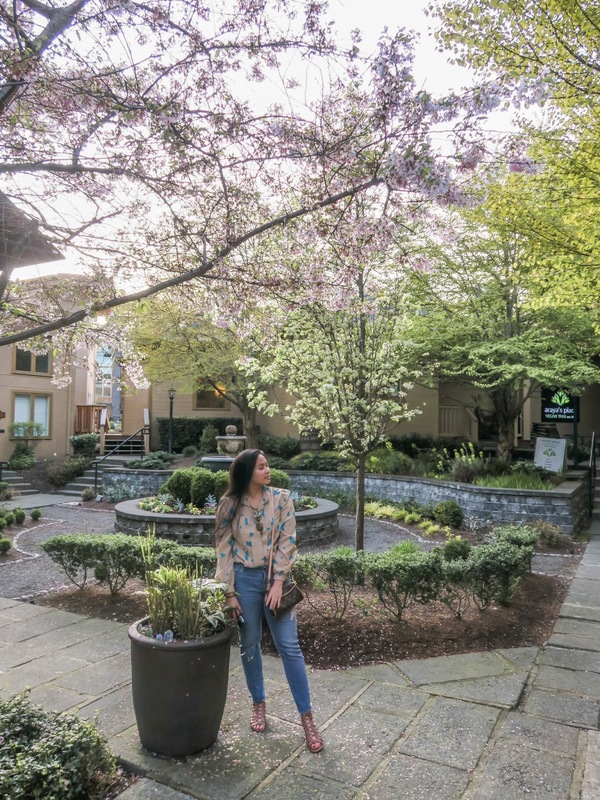 Everything from the food, location, ambiance etc. was so enjoyable. 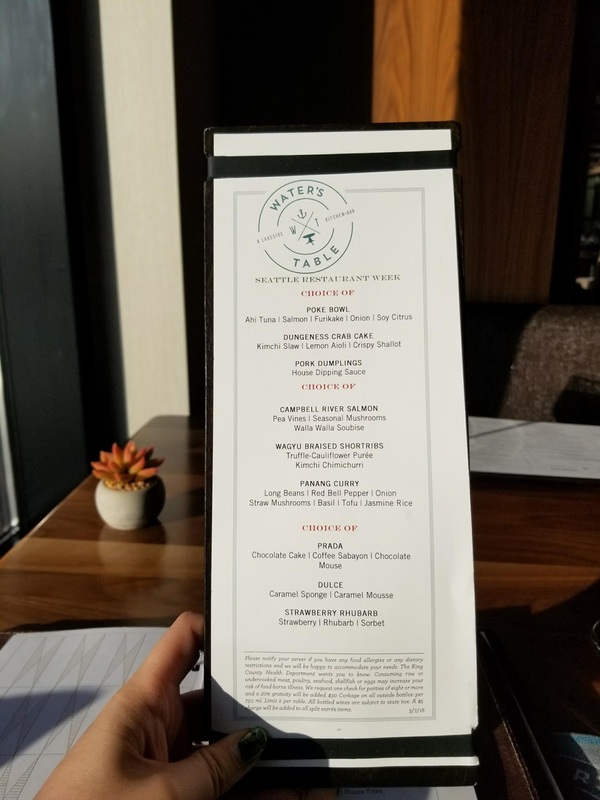 The last restaurant I attended on the last day of SRW was Water's Table located in Renton at the Hyatt Regency on Lake Washington. First of all, I didn't even realize this was here, or the hotel - so late to the game. Secondly, this place has an AMAZING view. I've heard mixed reviews about the food but was surprisingly impressed by the menu and food items. 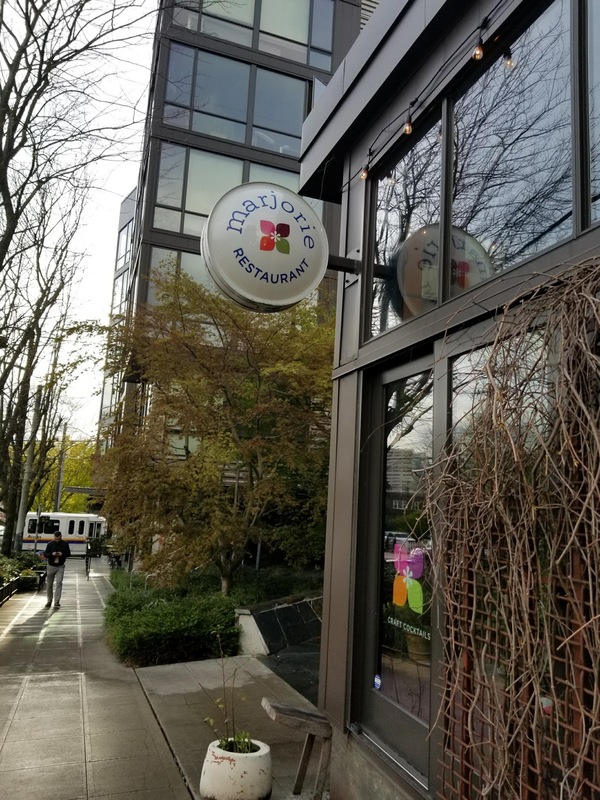 It's an Asian fusion type of restaurant which can be hit or miss but I actually liked what was served. I had a poke bowl for starters and I was surprised to see a fried egg on it. 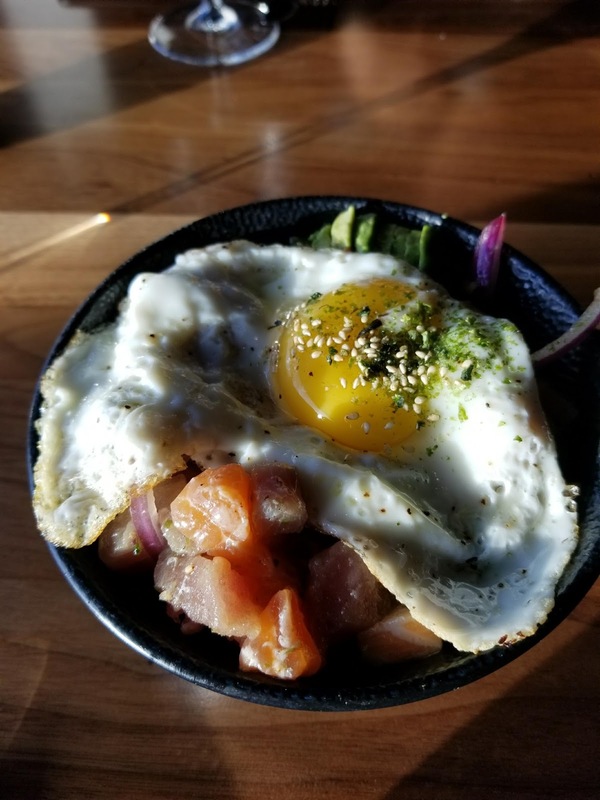 I've never had a poke bowl with egg but I really liked it! 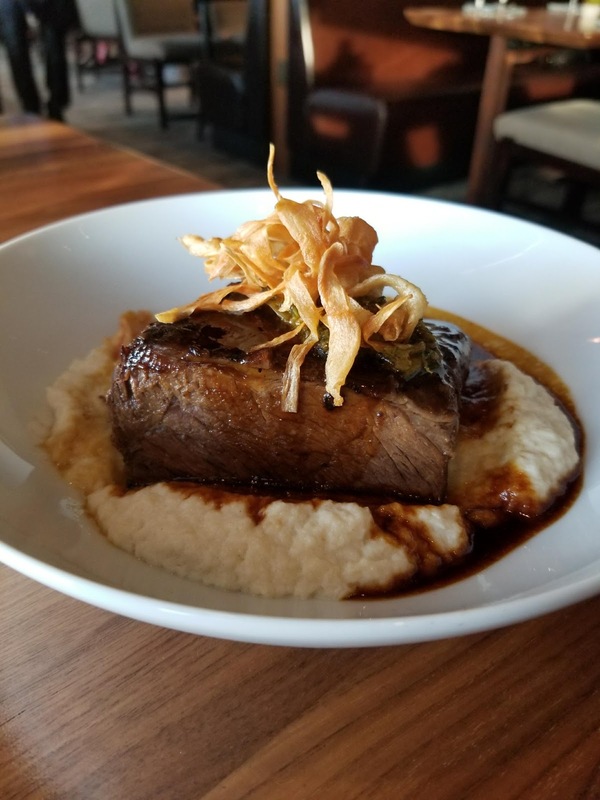 It was also a larger portion than I thought so that instantly filled me up and when it came to the short rib for the entree, I couldn't even finish half! 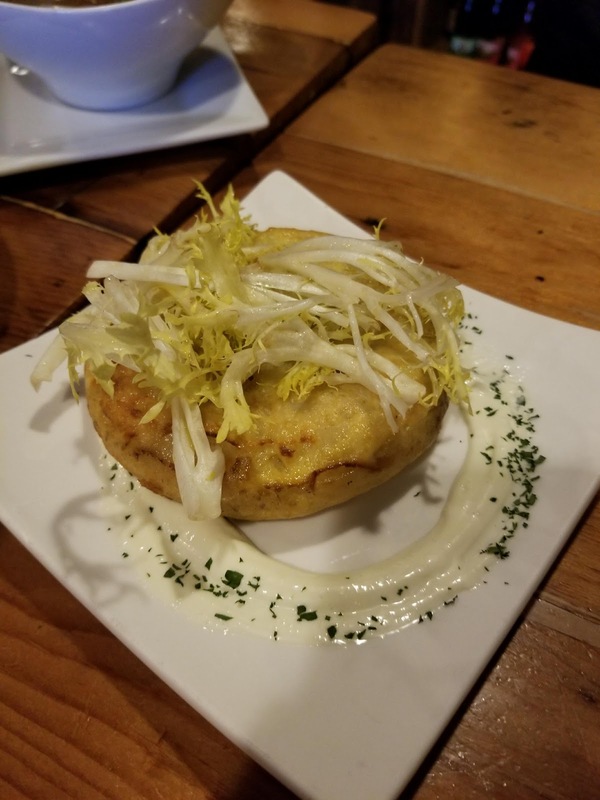 It was served on top of a cauliflower puree which I actually liked (and I usually don't like cauliflower at all). 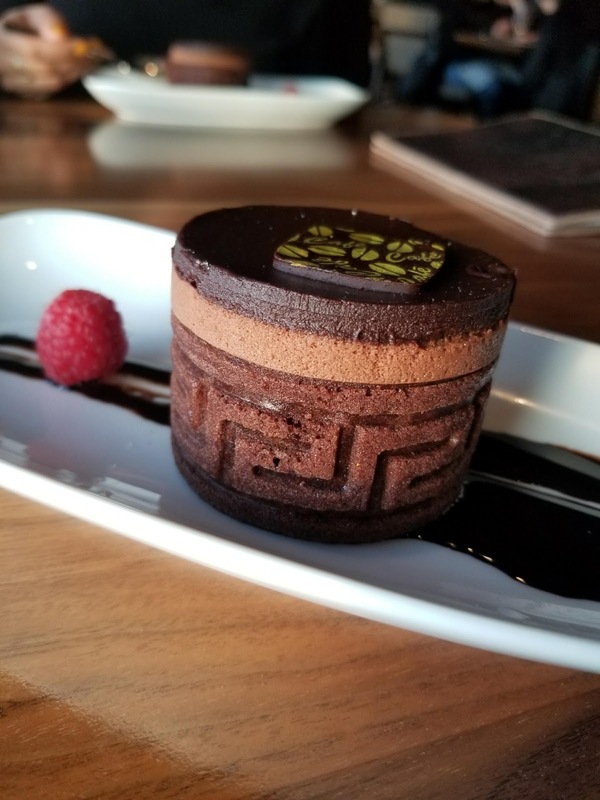 Dessert was this cute Chinese inspired molded chocolate cake which was very chocolatey, but enjoyable as it wasn't too sweet. 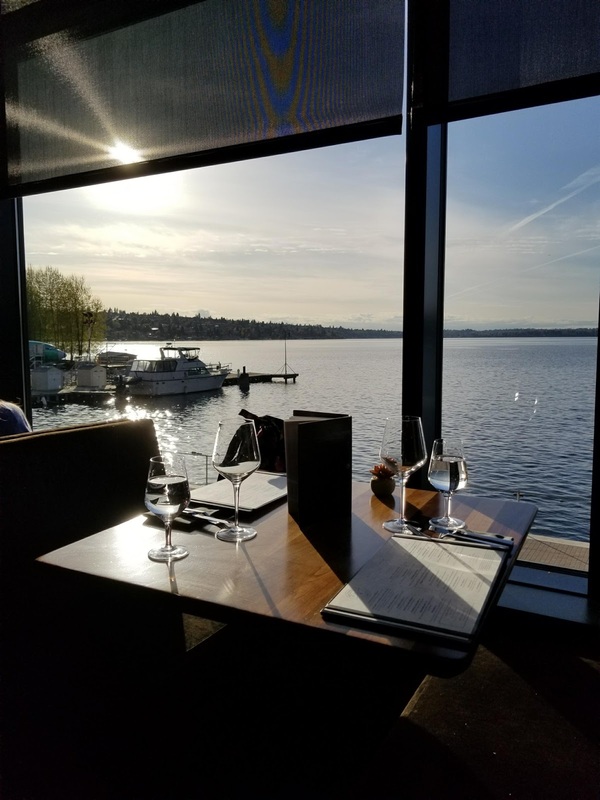 I would come back here to try their other menu options as they had some interesting choices and maybe even a happy hour or two to just enjoy the view of Lake Washington.